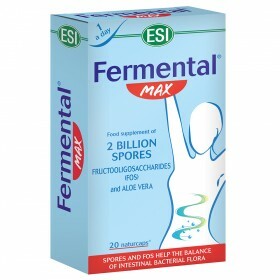 Natural supplements that balance the intestinal flora - ESI S.p.A.
Intestinal flora plays a major role in the general being of the whole body, which concludes with digestion through fermentation and contributes to intestinal transit. When the number of good bacteria decreases the entire digestive system gets thrown off balance because: nutrients don’t get properly absorbed by the body, waste doesn’t get eliminated regularly and causes problems to overall health. When this happens, it’s important to use specific natural supplements along with a healthy and balanced diet. 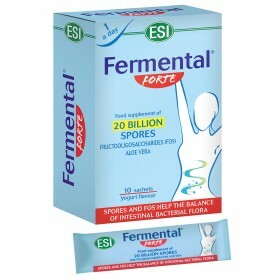 ESI’s Fermental is the only natural supplement that combines spores with Aloe Vera, which has anti-inflammatory properties, and helps keep the intestinal flora balanced and strengthens the immune system. 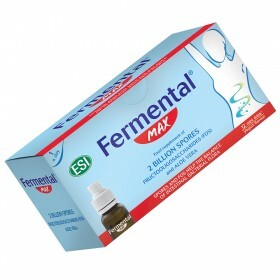 Fermental is a valuable ally when you’re having intestinal issues caused by bacteria acquired while taking antibiotics or during periods of constipation.